After over 4 years, Olena comes rocketing back into Claire's life, changing everything for the worse. Picking up the shattered pieces, Claire is not sure who to believe. Is Olena who she says she is, or is she a killer to stay away from? Leaning on her new boyfriend Steven for support, Claire is faced with the choice on who to trust: a friend she barley knows, or a history lesson she barely remembers. Together, the three will begin a journey that will take Claire from the safety of her home to the last place she thought she would ever be: The Chernobyl Nuclear Power Plant. With the wreckage of rector four looming behind her, Claire will have to see Olena's plan through until the end if she wants any chance of making it out alive. With Locket Full of Secrets out on Kindle and paperback, receiving reviews and being purchased by readers, I stopped and looked back. How did I get to this point? What really lead to the book being out for people to read, or even what lead me to write this story in the first place? Looking back I see that everything really started in middle school! That was when I was first encouraged to write thanks to writing prompts giving out by my 6th grade English teacher. It was in that class that I started to write fiction, build characters, and use my mind to create! I wrote often in the years that followed, and when I got to college it was an easy choice to pick Creative Writing as my minor. This was, however, where my writing career de-railed for a while. My creative writing classes in college were the first time I ever experienced workshops. Each class consisted of reading something written by a classmate and then going around in a circle on by one to review their work. It sounded simple enough, and I was really excited for my first project to be read by the class. On my story day I felt really excited about my work, and was expecting nothing but good comments. Instead, I was told my writing was “childish” and “juvenile,” that my plot was too simple and that the way my characters faced conflict was un-realistic. I left class that day feeling that I had been punched! After that first class, I took two more creative writing classes, each of them with many of the same people as the first. And each time, people told me my writing was childish! I did not understand. Sure, I was writing about characters that were teenagers, and knew I wanted younger people to read them, but it felt like people were not getting it. It felt to me like I was just not as good of a writer as I always thought and hoped I was. There were some good comments about my writing, my ideas seemed to be creative to some people, and my teacher encouraged me to keep writing and gave me positive feedback on my edits. But, I still felt like something was wrong. Why was my writing not being appreciated or liked? Even when people were saying they liked it, they never said it was “great” or “amazing,” but rather used words like “cute.” At the time, it made me feel like I chose the wrong minor completely. I graduated college in 2009 and immediately moved to Washington State. It was a whole different world than Ohio, and my job as an intern kept me busy. In fact, for two years I worked and worked so much that I did not have time for much writing at all. I was learning about the full-time camping world, trying new things, and just living life out in the Pacific North West. But, once I was settled into my full time job at camp after my two years of being an intern came to an end, I started to miss writing. I wanted to create again, and knew that if I didn’t I would start to go stir crazy. Not sure what else to do, I went online and printed out a few writing prompts. I had to do a lot of them in college, so I figured it could be a good way to start my brain working. And boy was it ever! The first writing prompt that caught my eye encouraged me to imagine meeting up with someone I had not seen in years. What would that be like, and how would that meeting go? The second I read the words, my brain began working over time! I remembered my best friend from 8th grade, Simona, and the fact that I had not seen her or heard from her at all since the last day of school so many years ago. But, rather than just imagine what we would talk about, my mind started working overtime. What if Simona, who was from Romania, was actually a spy? What if she HAD to leave Ohio? As my mind created idea after idea I started jotting down notes. At some point my fascination with Chernobyl, and a Ukrainian friend I had in high school came into play, and I imagined Simona coming back looking for answers and help that would uncover truths about 1986 nuclear power plant explosion. Olena, a high school friend, was suddenly combined with Simona to make a strong character with a dark past and big secret. Sitting down with a paper and pen one day, I wrote four pages front and back, outlining the whole story. Some of the ideas were sketchy, but I felt like it had a flow and theme to it that would be really cool and exciting to read. Once it was all on paper, I stopped. I literally put the paper in a drawer and walked away. Clearly, the timing was not quite right, but the papers were there waiting for their moment. With the papers in the drawer and forgotten, I spent my time reading. This is a super important fact in the journey for this book, since for the first time in my life I was hearing about this book genre called “young adult.” I did not understand it at first, but as I read more and more books it was like something clicked in my head. This was the type of book I was writing in college! The term YA did not exist yet, but it was clearly the genre I had been writing the whole time! It gave me new ideas and excitement to try writing more right away. So, I wrote a few short things that never went anywhere, and read as many YA books as I could. Then, each night I would lie in bed and think about that outline in my desk drawer. I would imagine the scenes in the book playing out, the characters interacting, and even the dramatic reveal of a secret about Chernobyl. It was during those late night thinking times that I realized I wrote the outline wrong. In the outline the characters were all in the mid-twenties. They were living lives and had real jobs, but the dialogue I was imagining was much younger. Suddenly, I knew what I had done wrong. The book was meant to be a YA story, the character teens instead of adults. Knowing this, I hopped on my computer and wrote the first chapter of the book. I stopped there, busy with life and distracted with my role in a community theater show. But, I knew I wanted to go back and add more to this story that was growing and changing in my mind. Just over a year ago, through a long series of random ideas and trial and error, I published my first book on Kindle. It was the start of my real writing career, and it was a bumpy and uphill climb for sure. I did not know much about the indie writing world, so I started making friends on social media. That was when I first heard about NaNoWriMo. National Novel Writing Month takes places in November, in case you have not heard about it before, and it is a time for writers to write! The goal is 50,000 words in one month. It sounded daunting, but I signed up for it right away! Then, I went back to that outline and the ideas in my head and got ready. I made notecard outlines, researched even more about Chernobyl, despite already knowing a LOT, and then counted down the minutes until November began! 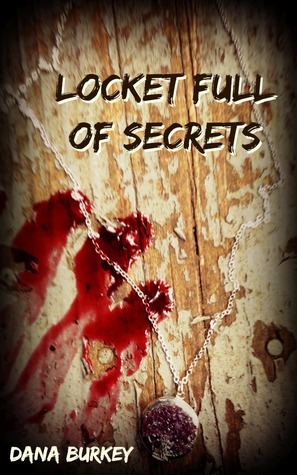 The journey was long and tiring, but by the end of November I had the first draft of Locket Full of Secrets complete. It went through two more edits and some help from my older sister “Red” Dawn, but in the end Locket was finished. The day I released it on Kindle I could not help but tear up a little. This was a project that was so many years in the making. So much emotion went into writing each word, fueled by the people that never saw my writing for what it really was. I wanted to prove to myself and everyone that I was a good writer, and that just because my audience was younger than myself, did not mean it was not worth reading. So now, with Locket being read by readers that love YA books, I am happy for the crazy journey that got me where I am today. I think the time off of writing fueled my need to write this book. I think the negative comments I got in college helped me to make sure the words and stories are not JUST for teens. In fact, if I had to go back and do it all again, I would keep things just the way they are. The journey to where the book is now help made it mean that much more to me when a reader enjoys what I have created. It was not always an easy journey, but looking back I know it shaped and molded so much of who I am as an author. So, after all this time, I am thankful that people said my work was “juvenile.” Without their help, I might have never realized that I was a YA author all along! Our 2015 Summer Blogger Promo Tour Wrap Up! ARC August: Week 3 Recap! Stacking the Shelves #17: I Got More Books! ARC August: Week 2 Recap! AUGUST 2015 NEW RELEASE GIVEAWAY HOP! ARC August: Week 1 Recap!